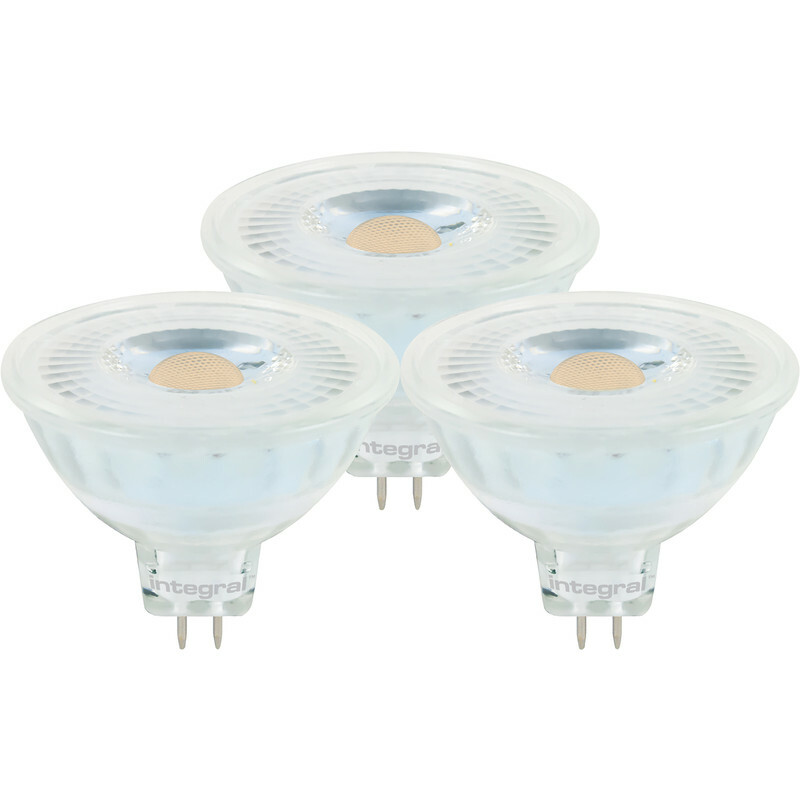 Integral LED 12V Glass MR16 GU5.3 Dimmable Lamp 6W Warm White 410lm (3 Pack) is rated 4.0 out of 5 by 1. Rated 4 out of 5 by Gobe from does exactly what it says. fitted over a month ago for outdoor lights. work a treat.